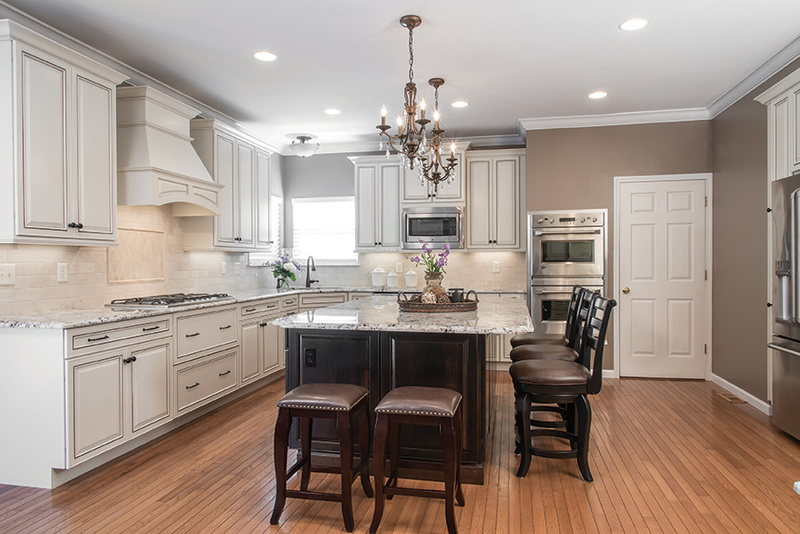 After years of wanting to tackle their kitchen renovation, the Sielis teamed up with Signature Kitchen & Bath to bring their dated space to life. “Yeah,” Kim agrees, “the butterfly island was awkward.” Topped with a cooktop range and positioned across from an angled sink, the dysfunctional island created an even more obvious void than the cabinet issue, if you take Linda’s word for it. 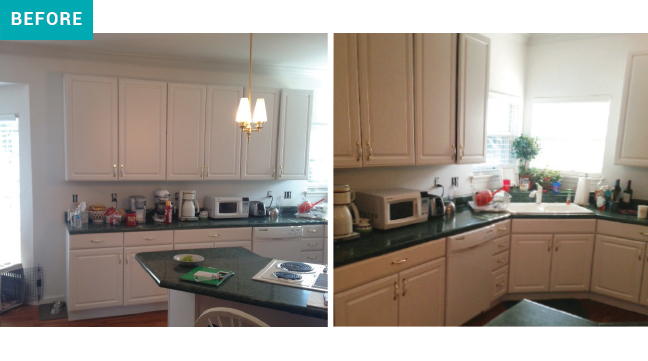 Though it took some time to find the solution, when they did, the entire kitchen started coming together. “We wanted the island to be the focus,” says Kim of the now square, granite-flanked showstopper. Black and cream with flecks of silver, the granite’s color, user-friendly shape, and beveled Ogee edge refreshed the open-concept space, making it instantly more livable. Linda describes it differently. “She was very thoughtful about everything she picked. A lot of clients can come in and pick everything all at once. [With Kim] it was like baby steps.” But once they got started, clearly, there was no slowing down. Located far from the surface of the island, the cooktop now sits beneath a functional hood that effortlessly blends with the shape and style of the cabinetry.